Make Scrapbooks, NOT dinner. 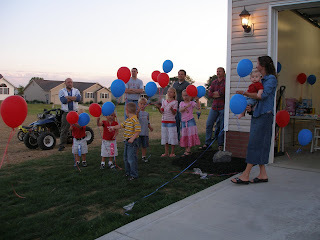 : The twins are THREE! 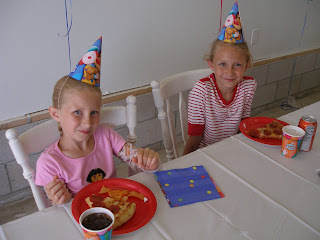 We had so much fun at the party. It's one of those things that seem to be a lot of work, but yet you are always happy you did it. The turned 3 on the 10th, but we didn't have the party till the 21st. Here are some pics for ya! Jackson, Jada, Treyton and their cousin. We all got a good laugh out of this. They really wanted to leave them on, so we did for a little bit, but they were so hilarious looking. 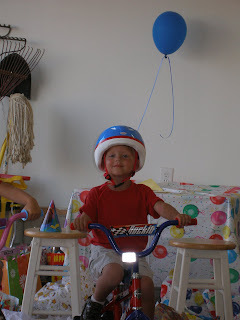 New bike - it is so fun watching them on these new bikes. 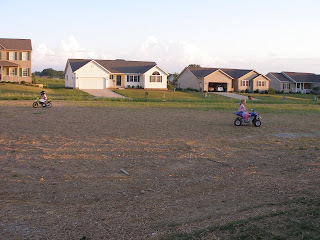 My two nieces riding Treyton's dirtbike and the twins 4-wheeler. We are fortunate to have an empty lot beside us. 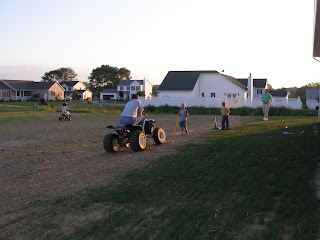 What will the kids do when we can't use it as our "road" any more?! 8-) Everyone had fun with it this night - even the adults. If you click on any of the pictures you will be able to see the bigger file. Julie~~Good memory. Here are the pics to prove they are 3. Tamra~~While at the Dr. yesterday she said that my lungs sounded almost 100% better. Don't have to go back for a month. YAY! Thanks for your concern. Myranda, I really enjoyed these pictures. 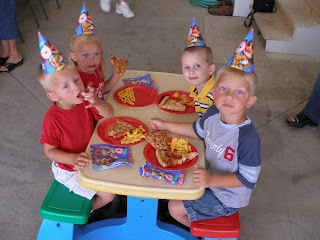 Birthday parties are always so much fun. 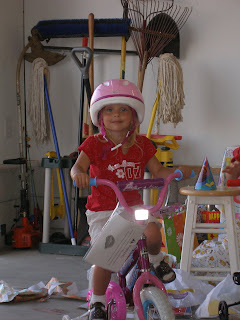 Mollie loved Jada's bike and the goggles! 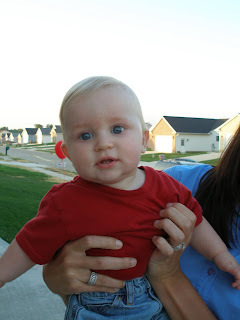 And oh my goodness - Missy's little Caden is a doll! So glad to hear that you're doing better. Hey girl...thanks for your nice comment on my blog! It IS GREAT HAVING YOU BACK INTO THE BLOG WORLD! =) We missed you! Sorry for the allergy problems ....EEK... near pnemonia?! (sp?) SPOOKY! Glad you are getting some help! I hope you are better soon! 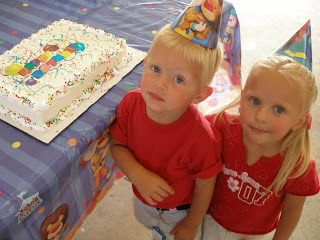 Loved the birthday pics of your twins...they are as cute as a button...or two! =D Enjoyed seeing all of the pics, including the fishing pics! Oh Mandy...that one of the twins on the stools opening gifts - just adorable. You so know how to do "twin stuff". I would be lost. 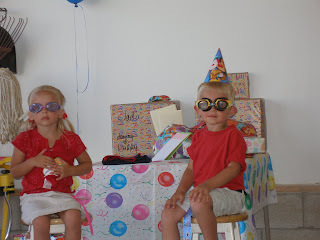 Looks like their party was so much fun - I wish we could have been there. We'll see you soon - I can't wait! Your kids are certainly adorable. 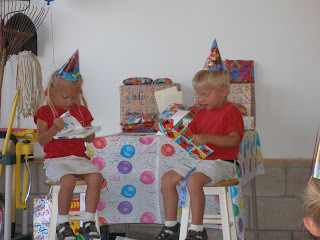 What fun to plan a party for twins!